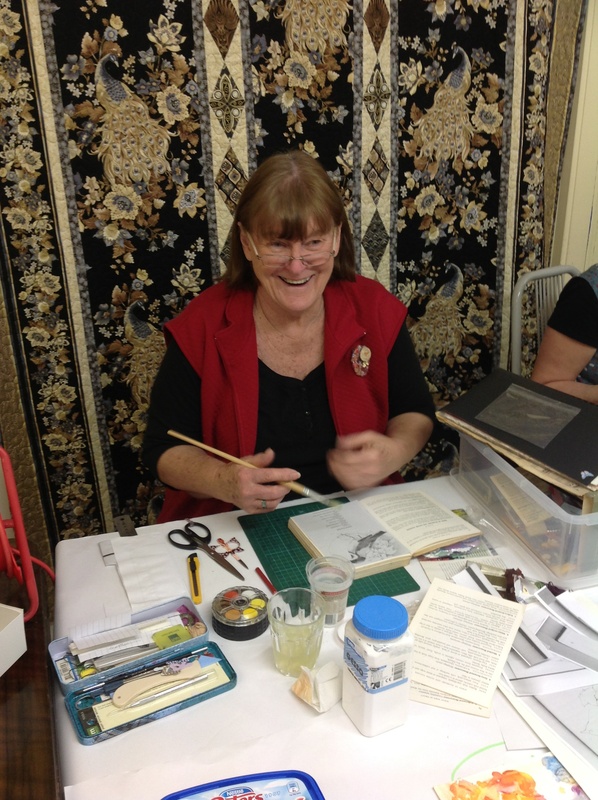 We had a great day on Saturday with Laura Macpherson showing us how to do altered books. We had such a good time that it was difficult to leave and that wasn’t because we’d glued our fingers together! The class was supposed to finish at 2.00pm but we didn’t finish until 3.00pm and even then….. There were books with teacups, birds, elephants, Paris, bats and the sea. Laura showed us how to make them our own and showed us lots of different techniques from watercolours to carving to make a unique piece. Thanks Laura for giving us a new addiction! 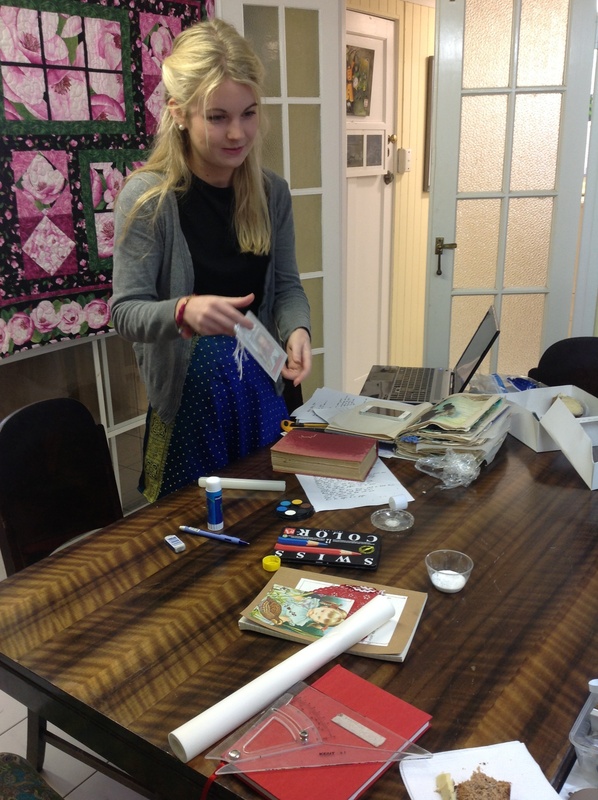 It was great fun playing with paper, paint, pencils,glue and fabric and we all found inspiration from a range of places although it was quite a challenge for some of us. 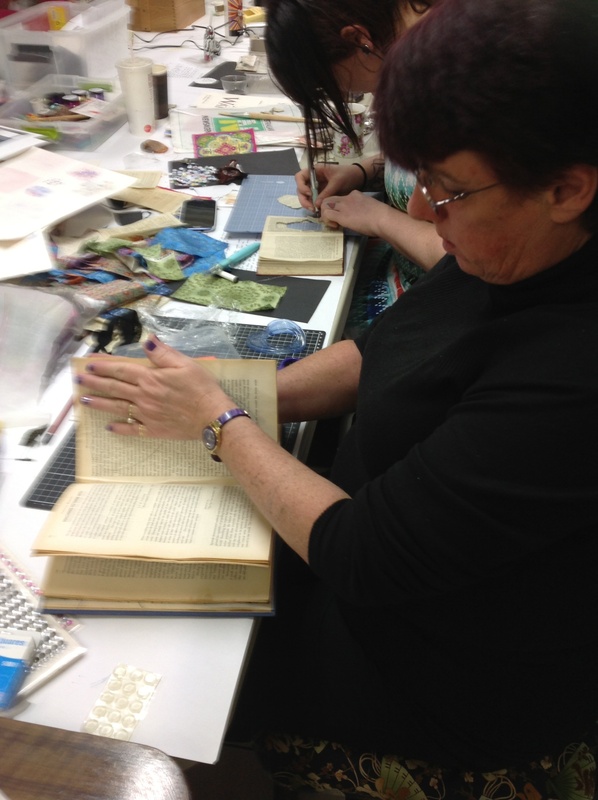 Just look around you and see how things can ‘speak to you’ whether it’s for an altered book or a quilt or some other challenge! 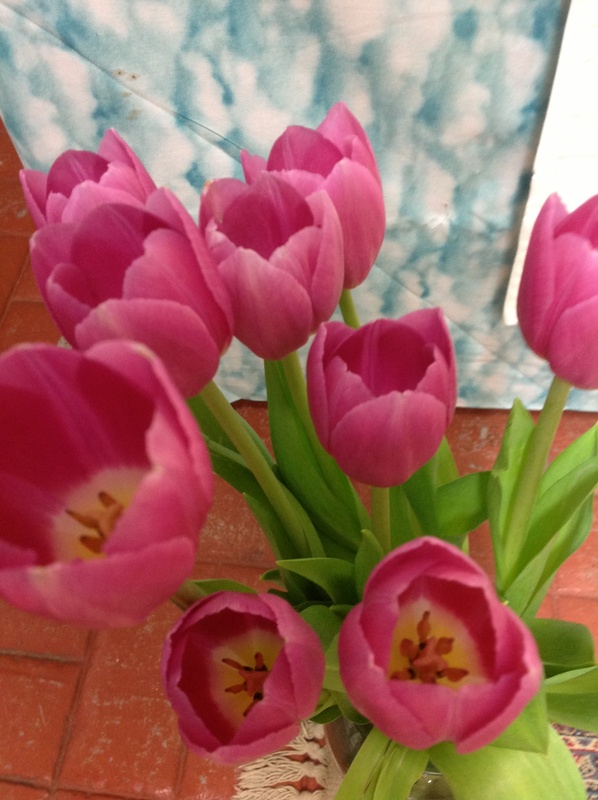 I found these tulips were quite inspiring – they were a gift from Di for Apatchy’s 5th birthday. 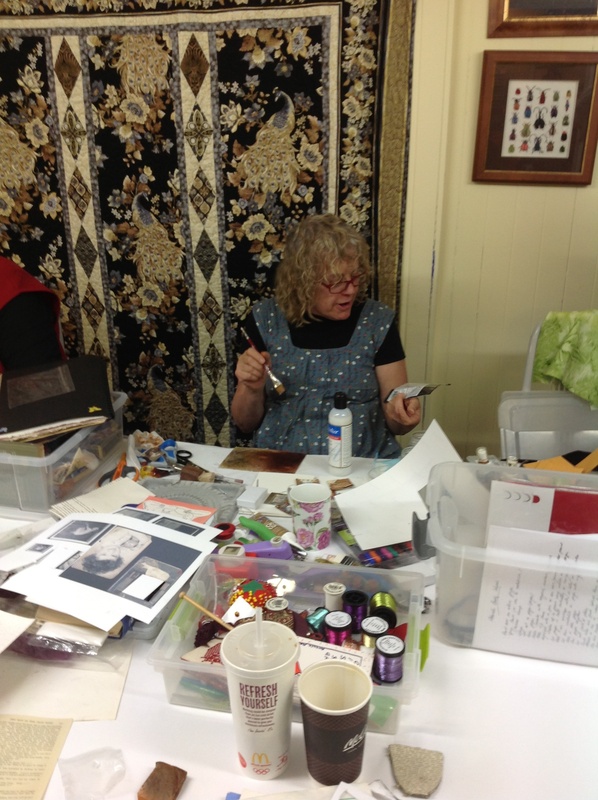 You can see a wall hanging that June made for the same event on ‘Your Gallery’. 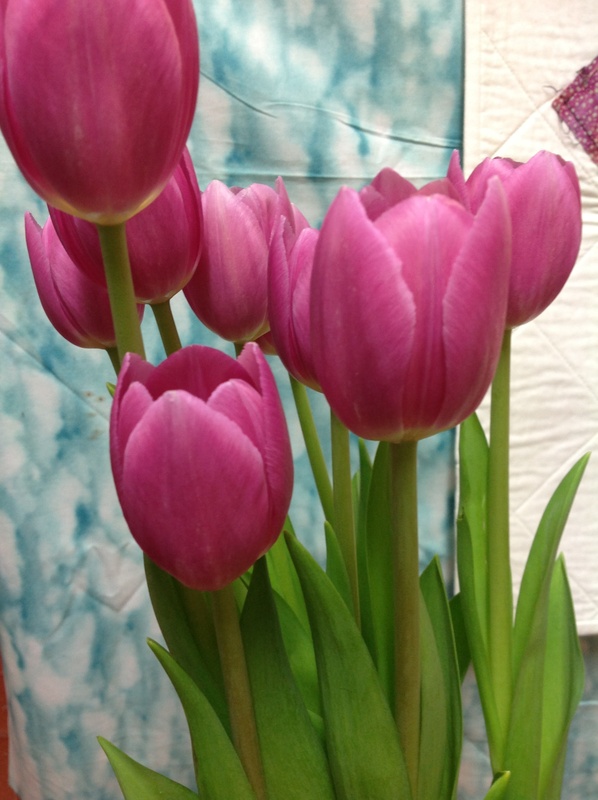 – the quilt can be any style and incorporate any technique (appliquéd, pieced, beaded, art quilt or traditional) as long as it fits the theme. – your entry must be received at Apatchy no later than 22nd November, 2013. – winners of the Challenge and Viewer’s Choice will be chosen at the Christmas party in early December (actual date to be advised but either 30th November or 7th December) when quilts will be returned to their creators. and the theme for this year is ……………………. This entry was posted in Awards, Competition, Special Guests and tagged challenge, Class, Competition by Apatchy Kaye. Bookmark the permalink.